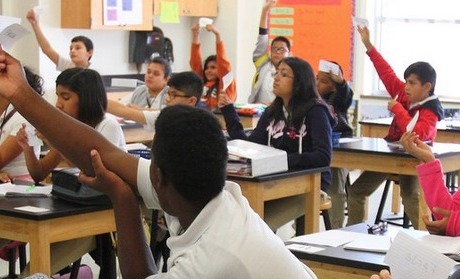 Given the enormous social and economic benefits associated with completing a credential or degree beyond high school, the Partnership is dedicated to increasing postsecondary participation and completion rates in Dallas County – particularly among low-income and first generation college-going students of all ages. The average earnings of college graduates are twice that of workers with only a high school diploma and unemployment rates are notably less. Additionally, of the 30 fastest growing occupations, more than 50% require a postsecondary education. of Dallas County adults hold a 2-year or 4-year degree, well below the 60% goal for our region by 2025. In close collaboration with other districts, community leaders, volunteers and local businesses, the Partnership is working in the following areas around increasing postsecondary attainment: increasing financial aid access, supporting students through the enrollment process, strengthening dual-credit programs, and expanding financial literacy education. Increasing students’ access to and understanding of financial aid. If students think they can’t pay for college, they won’t take necessary steps to enroll. Yet, thousands of local seniors don’t submit a FAFSA, meaning they had no way of knowing how much college would really cost them and no access to financial aid to support them. 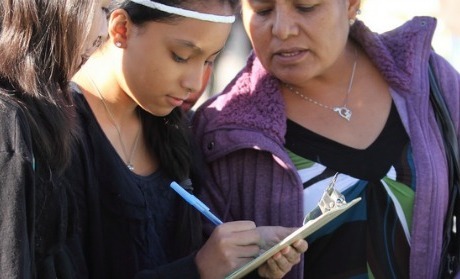 Supporting students through the enrollment process. Many students that intend to enroll in postsecondary education fall off track at some point during the year or summer before college classes begin. Oftentimes the hurdles students face could be easily overcome with the help of summer reminders and a trusted adults. To help codify knowledge of post-secondary enrollment obstacles, the Partnership conducted a learning tour, interviewing key school staff and students in 14 local high schools. A practice guide was subsequently published, identifying local examples of replicable practices to increase postsecondary access, many of which are cost-neutral. Additional resources specific to financial aid, including information on upcoming workshops that are planned and hosted by TxCAN-NT members can be found at YouCanAffordCollege.org. Why financial aid? The perceived inability to pay for college remains the largest barrier to students applying and enrolling in postsecondary education. Thousands more high school seniors can access college or other postsecondary education opportunities with greater understanding and personalized support from financial aid advisors. Providing students with access to financial coaching and education to help them succeed in college. In partnership with the Dallas County Community College District and several community organizations, we are working to scale and spread programs that can increase the financial literacy of students enrolled in postsecondary education. In partnership with K-12 districts and postsecondary institutions, we are helping find opportunities for collaboration so more students enroll in dual-credit programs and complete a postsecondary credential. All of these initiatives are aligned with a statewide collaboration, Texas Completes, focused on improving college persistence and completion. In the first iteration, the Dallas County Community College District (DCCCD) focused on several key areas: redesigning core curriculum, improving developmental education, strengthening advising and faculty professional development, creating program of study guidance, and building a technology system for advising and graduation. DCCCD recently completed the first two years of this initiative and has partnered with Commit! on several projects, including the ones outlined here. Through the Higher Education and Workforce Support Council, the Texas College Access Network – North Texas, and several project-specific working groups the Commit! Partnership works to ensure all young adults in Dallas County have the option to enroll, persist, and complete a postsecondary program that yields a credential with labor market value. The Commit! Partnership 20+ member Higher Education and Workforce Support council meets bi-monthly to provide input on collaborative strategies and community-wide goals. By reviewing data as a community of business leaders, universities, foundations, nonprofits, and K-12 district leaders, we are better able to make progress to our postsecondary attainment goals. The Partnership acts as project manager for the Texas College Access Network-North Texas (TxCAN-NT). Representing 55 organizations, network members include over 80 school counselors, college admissions and financial aid representatives, and staff from non-profits working in college access. Members of the Support Council and TxCAN-NT come together in project specific working groups to address key issue areas such as college affordability, summer supports, financial literacy, and dual-credit programs. You’re invited to the Go College! 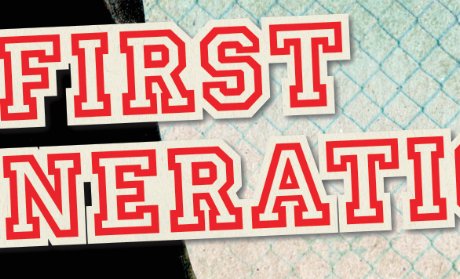 National Tour with a free red-carpet screening of the 1-hour version of the award-winning documentary First Generation on October 30 at the Angelika Film Center at 6:00pm!